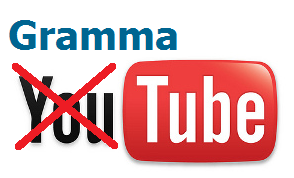 After the great reception that the VocaTube series have received (where we compile videos about a specific vocabulary topic on YouTube), we have decided to create GrammaTube, which follows the same principles but focusing on videos for learning, practising and improving English grammar. In this first post about the GrammaTube series we’re going to discuss conditionals (the first, second and third conditional). Conditionals are usually taught to students with an intermediate level of English. However, we encourage you to watch these videos even if your level of English is lower, as they are very educational and easy to follow.